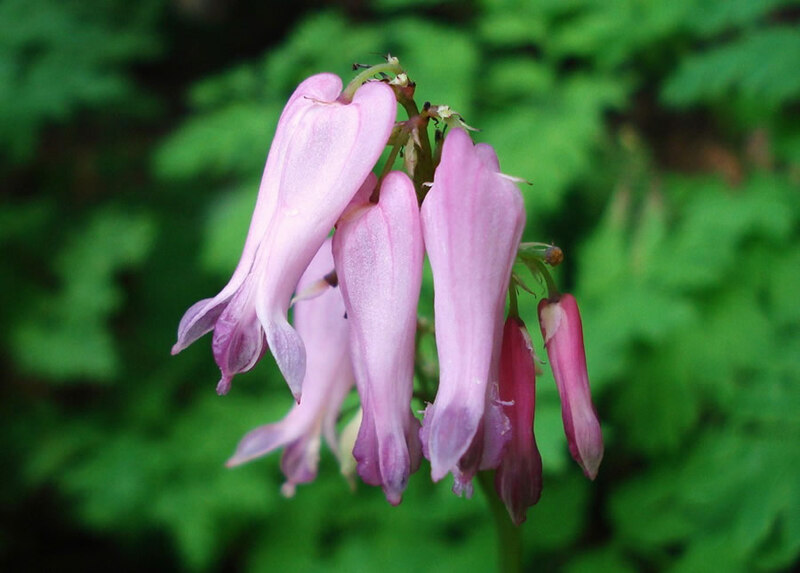 Wild bleeding heart is named for its heart-shaped flower that appears as if there is a drop of blood forming at its base. It is a woodland native that can be found from New Jersey to West Virginia and throughout the Appalachian Mountain range. This herbaceous perennial does well in both sunny and shady sites in moist soil. Increased sun however, will increase flower production and extend the flowering period. 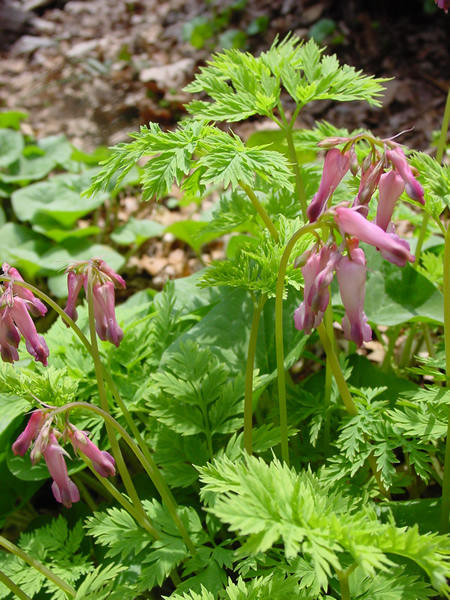 Dicentra forms 12-18 inch clumps of grayish-green, fern-like leaves. Its showy pink, occasionally white flowers begin to appear in late spring and continue in flushes until autumn giving an appearance of nonstop blooming. Easy to grow and great for naturalizing, wild bleeding heart does not have any serious insect or disease problems but is a great source of nectar for bumblebees. Somewhat difficult to start from seed, it is easy to propagate from division and, once established will self-propagate and last for many years.